Homeowners living in Fillmore can remain calm, cool and collected when facing a water emergency, because they know that the water damage Fillmore professionals at 911 Restoration Ventura County will get to their home within 45 minutes of calling their office. Our Fillmore water removal headquarters are available 24/7/365, enabling us to get to your disaster in a timely manner, no matter what time of the day or night we receive your phone call. The expert team of water damage Fillmore professionals also make sure to be completely mobilized for any kind of calamity that might arise, and this is why they have become the go-to source for services in the industry. The best way to reduce the changes of structural damage and rot is by allowing the Fillmore flood removal crew to begin restoration procedures on your home immediately. We will make it our priority to get your living space looking like new again, so give our water damage Fillmore team with 911 Restoration Ventura County a call today! 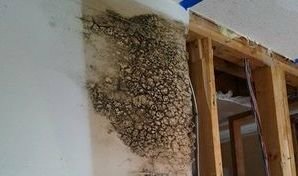 Sometimes you won’t even see the mold in your home, but you will feel its affects. The substance can present itself by causing you to experience headaches, coughing, sneezing, difficulty breathing, itchy eyes and irritation of the skin. Do not attempt a fungus cleanup on your own. We want to keep you safe at all costs, and we have the gear to thoroughly, and safely, remove mold successfully from your home. Our Fillmore flood mitigation technicians will conduct a free visual mold inspection to determine if mold eradication procedures are necessary in your property. Don’t let your home or business fall victim to the nature of flood waters without help. Contact our water damage Fillmore team with 911 Restoration Ventura County for all the help your property needs to look like new again today! Everything we can do to make you feel comfortable during the home restoration process, you can be sure we will do. 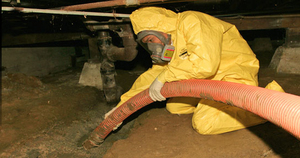 Our Fillmore water disaster techs are licensed, bonded and insured to provide you with same day services. To ensure that you are on the same page as the the Fillmore flood removal specialists, we will conduct a free home estimate the same day we arrive on the scene to make sure that you completely understand the scope of the work that needs to take place. Homeowners can trust us to walk you through the entire ordeal, even helping you file your insurance claim. We know exactly what to do to get you the coverage you deserve, so let us handle it all. Call our water damage Fillmore technicians with 911 Restoration Ventura County for the most state-of-the-art water removal and drying techniques, and we will give you a fresh start in no time today!